A flea infestation starts quickly. 1 flea can lay up to 50 eggs in 1 day & more than 5000 eggs over its life time. Flea eggs are not sticky, so they fall off the pet wherever it goes – your home! So begins the invisible (or hidden) environmental stages of the life cycle. The highest number of eggs will gather where your pet lies. Eggs hatch into larvae which hide away from light (so are found deep underneath furnishings, such as beds, chairs, curtains and cushions) and down into small cracks and gaps in flooring, and into the depths of carpets. The larvae eventually pupate (or form cocoons), and develop into adult fleas. Within the pupae, they are protected from all insecticides and so are very difficult to kill. This means that just treating the pet is not enough as this only kills adult fleas. 95% of fleas are in the environment as eggs, larvae and pupae. Only 5% are adult fleas on the pet. 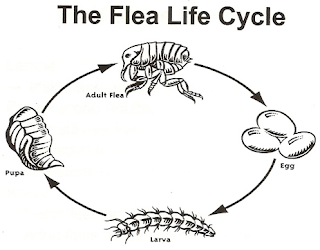 The life cycle generally takes 6 to 8 weeks to complete, which means that a flea seen today will have come from an egg laid 2 months ago. During this time, 1000’s of eggs will have been laid and so the house may already have an infestation by the time a flea is seen on the pet. It will take time for all these eggs, larvae and pupae to develop into adults, and then to be killed by treatments that only work on adult fleas. It can take up to 2-3 months to achieve control, and during this time live fleas may still be seen. ELIMINATE the flea infestation on the pets – Apply flea treatment to all the pets in the home (or who visit) at the same time whether you see fleas on them or not. Make sure the correct size tube is used for the weight of the pet. ELIMINATE the infestation in the home – This is the difficult part, but we have treatments to kill adult fleas and larvae in the environment. 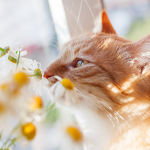 It is important to allow treated pets their usual access around the home to allow fleas to jump on to the pets where they will make contact with the flea treatment and will die. It is also recommended that the home and the car is vacuumed, especially those areas where the pets frequently lie, including underneath furniture, and in crevices. An environmental spray can also be used after vacuuming (the vibration helps to stimulate the pupae to hatch). Steam cleaning may also be used to kill pupae. Wash pets bedding at 60C. PREVENT your pets from further re-infestation – Remember to apply the flea treatment to each pet every month throughout the year, as central heating provides the necessary warmth for fleas to develop all year around. 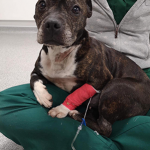 At The Vet we believe protecting your pet against common parasites is essential, that’s why we offer all our clients free flea checks with the nurse. Simply drop in, no appointment needed and the team will be able to provide advice about treatments and preventing fleas.